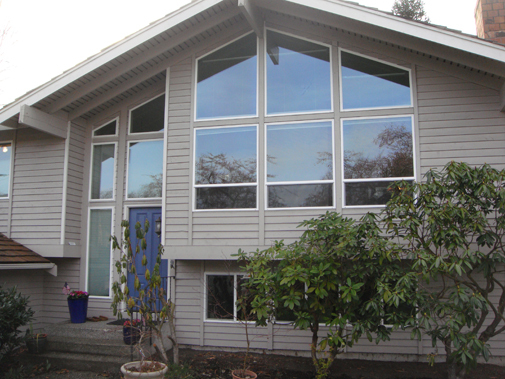 Are you in the market to buy vinyl replacement windows and doors in Renton, WA? It can be overwhelming to choose the right products for your home, especially because you will see that there are a number of different options from which to choose. Here at Signature Window & Door Replacement, we have it down to a science. We can help you find the right products and services that best meet your needs, and our goal is to be sure that you are completely satisfied with the finished product when we are done. At Signature Window & Door Replacement, we have many years of experience in the windows and doors industry. We have worked hard to become one of the leading contractors in Renton, WA and the surrounding areas. When you learn more about our company, you will see that we have a long list of happy customers. We know that the best way to keep our customers happy is by focusing on the products and services that are in demand. Many of our customers come to us looking for high quality replacement windows, and they want to save money at the same time. We have found that vinyl is an excellent option, because vinyl windows are both durable and cost-effective. When you contact our company, we will schedule a time to come visit your home. During this visit, we will have a discussion about your goals with the project, and we will take a little bit of time to inspect the old windows and the areas where the vinyl replacement windows will need to be installed. During this conversation, we encourage you to tell us about the style, design, and features that you are looking for. Once we have a clear picture about how you want the replacement windows to look, then we can start making recommendations about the right products and services that best match your needs. We understand the importance of treating each project as a stand-alone project, and we are always happy to customize the order to ensure that it turns out perfectly. How energy efficient is your home? Energy efficiency matters, especially if you are tired of paying high utility bills. Many people don’t realize how certain features can impact the energy efficiency of their home, and as a result they end up spending more money than necessary on monthly utility bills. For example, if you have old windows and doors, it is likely that they are poorly insulated and they allow drafts to come into the room. When a room is drafty, it is much more difficult to maintain a comfortable temperature inside. But, you can instantly change the energy efficiency of your home by choosing high quality replacement windows. Once these windows are installed, it becomes much easier to manage the indoor temperature, so you can reduce the use of the heater or air conditioner. Here at Signature Window & Door Replacement, we are experts in energy efficient windows, and we can help you find the right features that match your energy efficiency goals. All properties need upgrades eventually, and you should be selective about the types of projects that you choose. It is easy to see why vinyl replacement windows and doors are a good option for your upgrades, especially since they can help with both the function and appearance of your home. Have you paid attention to the overall appearance of the property? Over time, older homes can start to look run down and neglected. When this happens to your home, it is possible you are giving the wrong impression to people who come to visit. It may be necessary that you invest a little time and money into upgrading your home. In addition to improving curb appeal, the vinyl replacement windows and doors can also be beneficial to help with the style and design of your home. You can choose the colors and features that will allow you to create the perfect style that you have always wanted. In fact, we encourage our customers to provide pictures of the types of window that they are looking for, so that we can be sure that the project turns out exactly as you had imagined.